What is the first State of Hawaii Item Produced by the U.S. Mint? Not the Kingdom of Hawaii silver coins (dollar, half-dollar, quarter, dime, nor 12-1/2 cents)! Not the Territory of Hawaii Hawaiian Sesquicentennial half dollar! Not the Hawaii Statehood quarter! It’s Gomez DDE-08 (M&R 2M-94) struck in 1960 as being the first U.S. Mint product with the State of Hawaii as a design element. It took just 10 months after becoming the 50th State. (Alaska originally was to have a POTUS appreciation medal, but it was cancelled. 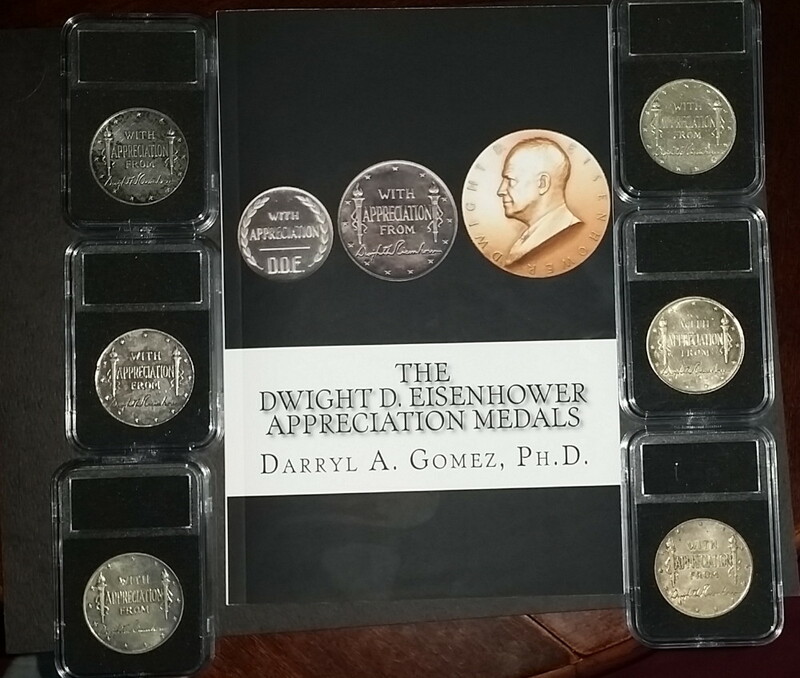 The image below is part of my collection of POTUS Appreciation medals (I have four more medals not in the picture). Other facts based on my ongoing POTUS appreciation medal research.